Being wealthy and privileged in Manhattan–or a wealthy and privileged kid in Manhattan–isn’t all it’s cracked up to be. And being that rich kid’s nanny can be pretty miserable, too. That’s what we learned in the 2007 movie The Nanny Diaries, anyway. From what I can tell, the best thing about it are the digs you get to live in. 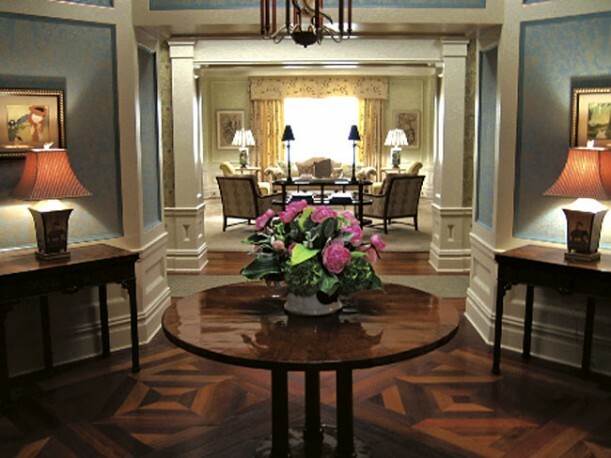 In the movie, Annie the Nanny works for Mr. and Mrs. X on the Upper East Side in their luxurious 12-room apartment. 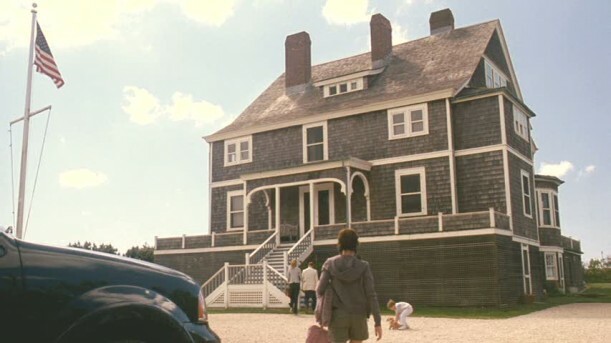 Production designer Mark Ricker (who also worked on The Help) designed the look of both it and the X family’s Nantucket beach house. Scarlett Johansson played Annie, or simply “Nanny,” as Mrs. X charmingly refers to her. 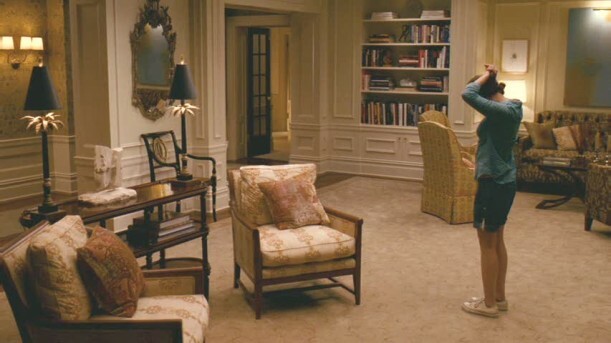 It may look like a real apartment, but Production Designer Mark Ricker says it would have been way too expensive and difficult to film in one. Ceiling heights are too low for lighting and the neighbors wouldn’t have appreciated all the noise and activity of having a film shooting in their building. So the apartment was a film set built on a soundstage at the Brooklyn Navy Yard. The movie is based on the 2002 tell-all novel by former nannies Emma McLaughlin and Nicola Kraus. I read it when it first came out and thought it was pretty entertaining, but the ending was so sad that it kind of spoiled the fun. The movie changed the novel’s ending to make it a happy one, with Mrs. X learning her lesson and (improbably) transforming into a hands-on mom. “The pleasures and challenges in designing The Nanny Diaries were tied hand-in-hand with the fact that it was based on an enormously popular book,” Ricker explains. As nice as the apartment was, what I really loved was the family’s beach house. 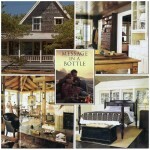 It was supposedly in Nantucket but was actually filmed in the Hamptons. I just finished watching the John Adams miniseries, so I thought it was kind of funny to see that Paul Giamatti and Laura Linney, who played John and Abigail Adams, had been cast as a totally different type of couple in The Nanny Diaries. Rumor has it that after the book came out, reading like a tell-all memoir by the two former nannies, Harvey Weinstein offered a $100,000 reward to anyone who could tell him who Mrs. X was based on. The New York Post suggested that it could be Lisa Birnbach, co-author of The Preppy Handbook, who once employed one of the book’s writers, but they insist that it wasn’t based on any single person. Were you a fan of this movie? Of the sets? To learn more, visit Traditional Home. This post is FANTASTIC! I enjoyed every picture! I always have fun with your “movie houses”! I didn’t know that–thanks, Jared!! A friend in NYC publishing told me that one of the Nanny Diaries authors’ former employers was so mortified by the book that they moved to London. i read the book and watched the movie. it was SO sad. it’s beyond believable how people treat other people and their own kids for heaven’s sake. no wonder there are so many messed up people in the world. i definitely preferred the beach house. the manhattan house was stuffy, but very NYC. Julia this is great to see the settings and design. I read the book, however did not see the movie! I haven’t seen this movie, but I saw one that was similar. I absolutely love the style of the apartment. It’s very nice. That house is very charming. It looks like a place I would feel right at home. LOVE that kitchen in the apartment – the desk, the hanging pot rack and the cabinets – HATE the rest of the apartment though!! It looks SO formal and forbidding – certainly not a place to have young children crashing around!! Gorgeous sets!! Love the “Nantucket” home with the cute little kitchen. I haven’t seen the movie, but I remember really hating Mrs. X in the book. I remember being unsatisfied with the end of the book too. I didn’t like the movie one bit. I looooooved the book, and they just changed so much — it was hardly the same story at all. Laura Linney was fantastically cast, though. Love the movie…have watched it many times. I’ve never read the book though, should hunt it up! 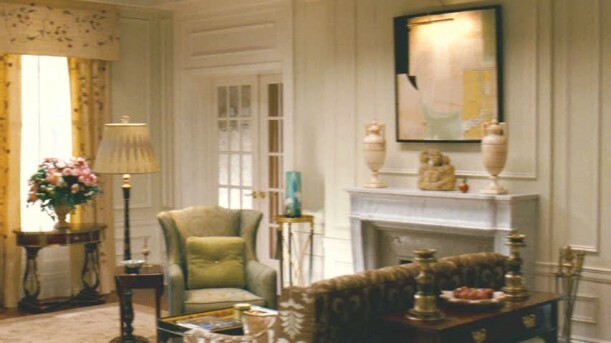 The NY apartment is gorgeous and I could easily live there. Not a huge fan of beachy houses, although this one is nice enough. I read the book (loved it) and was just “eh” on the movie. But isn’t that almost always the case! I loved the book. I work as a nanny and I find it comforting to know that my horrible experiences are not unusual. I love this post. 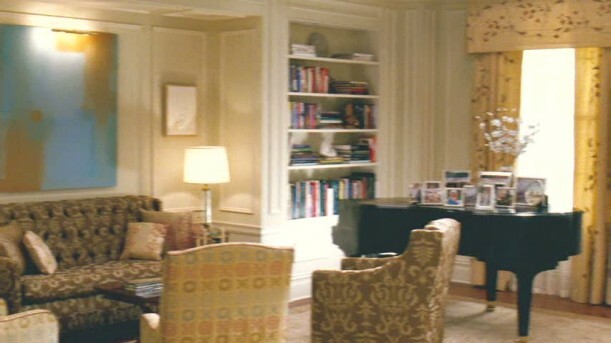 Everything in their apartment was so symetrical. my company published the book. i don’t remember any particular anecdotes about it. i had a couple friends who babysat as a sidegig and they really loved it. tangential, but i a few years ago i kept running into paul giammatti in my neighborhood. literally right outside my apartment building. a lot of celebs live in the general area (brooklyn). but he was the biggest surprise to date. Notice how completely symmetrical many of the rooms in the apartment are. 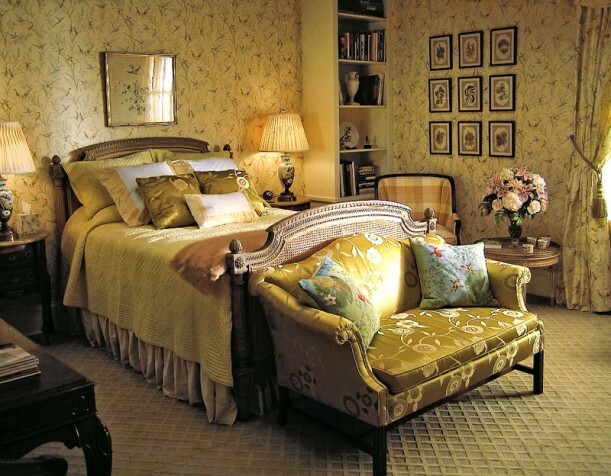 The left and right sides of the rooms look like mirror images. Love this post! 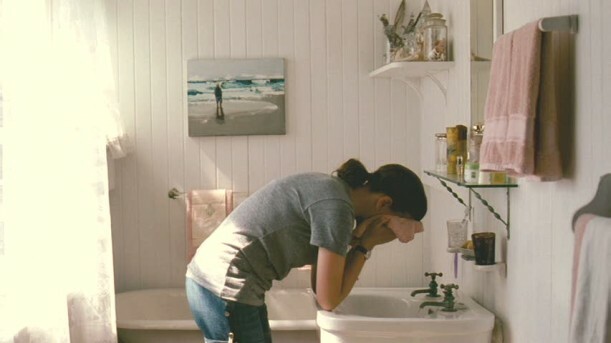 I love the apartment to look at, but the beach house is so much more homey and comfy -looking . It’s fun to see how the other half lives! I love the details you highlight in these posts. Don’t remember the movie all that well, but you make me want to see it again. Julia, I almost read the book…glad I didn’t if it has a terrible ending. Glad they changed it for the movie. Love that beach house! Hi Julia sorry to say have not seen this movie but now hubby will have to find it for me. Love the apartment and the beach house.. I don’t know if you have seen the movie No Reservations I thought the apartment in this movie was beautiful – is it what you guys call brownstone? We don’t have these kinds of builds here ours are called inner city terraces. Regards Esther from Sydney… PS movies with happy endings work for me too. Love movie posts!! This movie, and book, was recommended to me by many friends as I am a former nanny. Thankfully, I didn’t have to deal with any of the craziness featured in the film! 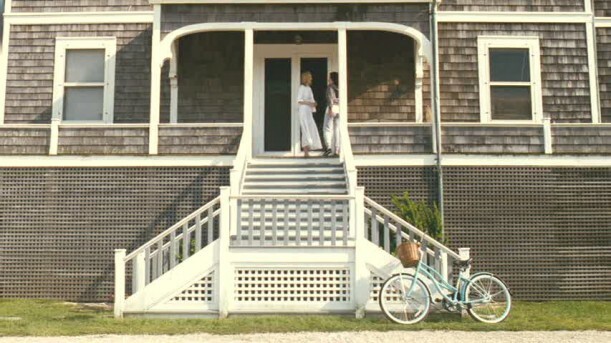 The apartment and beach house are absolutely beautiful. I can’t believe the apartment was a set, it was so believable! The kitchen is fantastic, I love the ladder! I still need to read the book, it would be fun to try and guess who Mrs. X could be based on. LOVED that book! I actually haven’t seen the movie though; interesting you said they changed the ending. Great, informative post as always! I enjoyed the movie, it proves money cannot buy happiness! 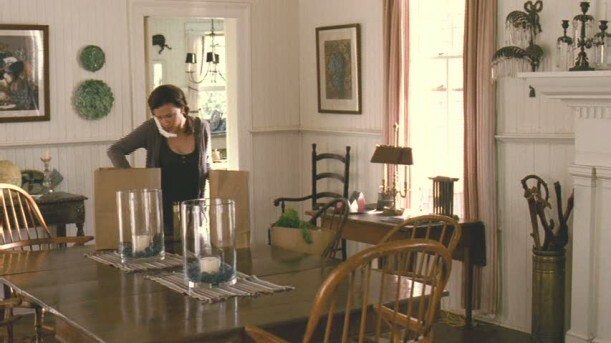 I LOVED the dining room in Mr. & Mrs. X beach house, a completely different style than their apartment. Enjoyed the movie, pictures , excellent post..
Read the book and hated it so much I couldn’t bring myself to watch the movie. As a mom to two little boys, it broke my heart to read about how poor Grayson was treated as nothing more than an annoying inconvenience by his parents. 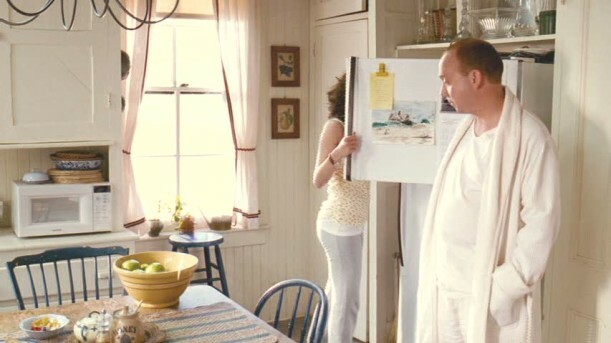 Liked the apartment/beach house pictures, though.